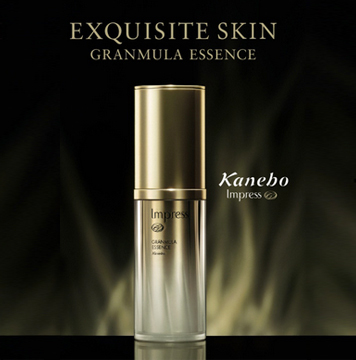 Kanebo Cosmetics is one of the leading cosmetics companies in Japan. Their wide portfolio of skincare and makeup brands sell through multiple distribution channels in over 50 countries and regions in Asia, Europe, and the U.S.
Kanebo products are renowned for their high quality based on advanced skin science. Backed by three laboratories in Japan and research bases overseas, Kanebo is a world-wide leader in many areas of dermatological research and conduct collaborative research with numerous institutions inside and outside Japan to develop safe and effective products. Their unique beauty methods, a trademark of Kanebo, reflect their decades of experience as a pioneer of esthetic research in Japan. Fusing advanced skin science with Japanese sensibilities and time-proven beauty traditions, Kanebo beauty methods translate into enhanced product effects for satisfied customers.